As desperate as they are silly, Australia’s renewable energy rent-seekers and the zealots that do their bidding have called in an airstrike on their own position. 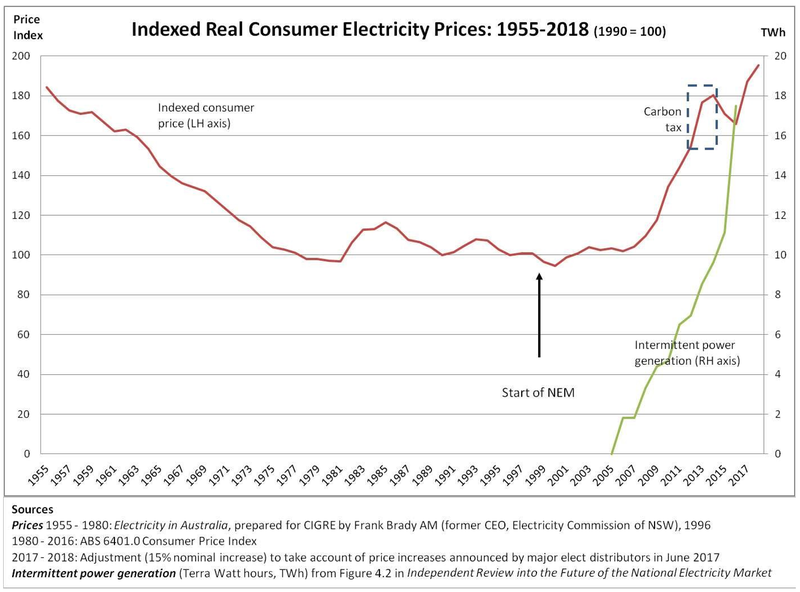 Making nonsensical claims that adding even more heavily subsidised and chaotically intermittent wind and solar will lead to substantial reductions in retail power prices, has exposed these people for the ideologically, unhinged zealots that they truly are. The Energy Security Board’s Kerry Schott, the Australian Energy Market Operator’s Audrey Zibelman and a deluded band of boffins and bureaucrats hijacked the proposed National Energy Guarantee, in an attempt to exponentially increase the amount of wind and solar generation in the system. The NEG was meant to be a simple, regulated requirement placed on retailers that they would contract, in advance, to have reliable, dispatchable power in volumes sufficient to meet their customer’s needs, on every single day of the year. Failing to meet that requirement would have resulted in substantial penalties, under what was called the ‘reliability obligation’. Instead, Kerry Schott, ably assisted by Audrey Zibleman and former Clean Energy Regulator, Chloe Munro gutted the reliability obligation, and turned it into a guarantee of unreliability. Rather than receiving power as and when they need it, households and businesses will be simply chopped from the grid, whenever the sun sets and/or calm weather sets in. Audrey and her gang call it ‘demand management’ and the victims of Soviet-era rationing are referred to as ‘demand resources’: on their reckoning, a result that’s just part and parcel of our ‘inevitable transition’ to nature’s wonder fuels. Meanwhile, back on Earth, Australia’s gormless Energy Minister, Josh Frydenberg is about to huff and puff until he blows the COAG house down. COAG (the Council of Australian governments) meets tomorrow to scuttle the version of the NEG written up by Kerry, Audrey and Chloe (with lots of input from the Clean Energy Council, the Solar Council, Vestas and the other usual suspects). What happens at that meeting is, in the broader scheme of things, largely immaterial. And RE rent-seekers, must surely know it. Selling a product which has no commercial value – try selling any commodity at times when your customer has no use for it and/or telling your customer to get stuffed when that customer absolutely, positively has to have it right now – wind and solar power outfits know that they would last as long as a snowflake in summer without mandated targets, penalties, fines and subsidies, all in their favour. That winning combination is embodied in the Federal government’s Large-Scale Renewable Energy Target, which created an industry without any obvious purpose, except dragging $3 billion a year in subsidies out of the pockets of Australian power consumers. The rapid expansion of wind and, more recently, large-scale solar critically depended on the fact that both the Liberal/National Coalition and the Green/Labor Alliance all supported the LRET. Without that bipartisan support, no banker or investor would have touched a wind or solar power outfit, with a bargepole. The risk for bankers and share punters, of course, is having those critical mandates, targets and subsidies reduced to ashes at the stroke of a pen, rendering their loans and investments worthless. STT’s bet is that the Labor State and Territory governments will storm out of the COAG meeting, squabbling in acrimony, and that Josh Frydenberg will scuttle off with his tail between his legs (although, we fully expect him to dress it up as a ‘victory’). The missing and essential ingredient, from whatever transpires, will be substantial, bipartisan support. Conservatives within the Liberal and National parties are trying to restore reliable and affordable power, with the refurbishment of existing coal-fired plant and the construction of new High Efficiency Low Emissions plant, and want no part of Frydenberg’s version of the NEG, which they view (correctly) as simply the RET on steroids. At the other end of the spectrum, Labor will continue pandering to the Greens (terrified of losing inner-city seats), and will refuse to have anything to do with a document where the words ‘coal’, ‘reliable’ or ‘affordable’ appear in black-and-white. Pragmatists and zealots rarely meet eye to eye, on anything; electricity generation is no exception. Partisan politics mean that the NEG is as good as dead; the zealots that hijacked that idea, with a view to expand (monumentally) and extend (indefinitely) the mandates, penalties and subsidies available under the LRET have also guaranteed the early demise of that policy, too. The NEG has drawn attention to the fact that the LRET is just as unsustainable, for the same reasons: adding wind and solar is the perfect pathway to rocketing retail power prices. On the eve of their destruction, here’s a couple of pointed pieces from The Australian. The first come from the cerebral Henry Ergas and the second from STT favourite, Judith Sloan. Experts agree that a steady diet of fudge, cream pies and french fries is far healthier than consuming grains and vegetables. Or at least they do in 2173, according to Woody Allen’s movie Sleeper (1973). And experts also agree that you can place additional reliability and emissions-reduction constraints on our electricity network and ­prices, instead of soaring, will fall. Or so the Energy Security Board contends in its final detailed design report on the national energy guarantee, released last week. Explainer: What exactly is the NEG and how it would work? Backing the ESB’s claim is modelling that shows, compared with a “business as usual” scenario, renewables would account for a greater share of capacity under the NEG, emissions would be lower and consumer bills would be lower too, with prices in the wholesale electricity market 20 per cent below the levels they would otherwise reach. Faced with those results, one’s immediate inclination is to utter the only double positive in English that yields a negative: sure, sure. After all, the results come from the same model, which predicted, in the 2015 review of the renewable energy target, that prices in the National Electricity Market would be 50 per cent lower today than they are. The fact that the ESB report makes no attempt to test the model’s forecasting ability, or explain the difference between its results and earlier studies, is therefore hardly reassuring. But those are far from being the only concerns. While the report’s discussion is cursory, closer inspection suggests the fall in prices is largely due to two ­assumptions. The first is that the NEG will dramatically reduce the required rate of return on investment in generation, cutting the cost of capital by more than a third over the period to 2030. Inexplicably, the report provides no sensitivity testing around that assumption; but it could account for half the projected difference in prices between the scenarios with and without the NEG. The second assumption is that the NEG will induce dispatchable generators to offer a greater share of their capacity in the contract market, altering prices in that market and reducing generators’ bids in the electricity pool. Here, too, the report provides no sensitivity testing; but this assumption likely explains the bulk of the remaining price effect. While not impossible, those ­two assumptions are highly ­questionable. Yes, greater policy certainty would lower risk premiums and so reduce required returns. But the NEG does nothing to resolve the fundamental uncertainty about future emissions targets and introduces substantial new risks, notably about the impacts of the reliability requirements. As a result, the dramatic drop the report projects in the cost of capital is difficult to accept. The contention that contract cover will rise, boosting competi­tion in the contract market and in the electricity pool, is no less ­dubious. The intent and effect of the reliability requirement is to increase the demand for dispatchable capacity, as retailers must, under the requirement, be able to back a high share of their load with that capacity. At the same time, according to the report itself, the supply of dispatchable capacity will scarcely grow. With greater demand, and practically constant supply, prices for dispatchable capacity should rise, not fall, compared with business as usual. Indeed, there are good reasons to believe they would have to rise substantially for a higher share of dispatchable capacity to be made available in the contract market. In particular, the NEG increases the value to vertically integrated operators of holding on to dis­patchable capacity, as that ensures they have it available should the reliability obligations be ­triggered. Rather than reducing the opportunity cost of entering into contracts, as the report assumes, the NEG therefore appears likely to increase it. And here too, the fact that the report does nothing to test its assumption — for instance, by examining whether, at the assumed higher average levels of contract cover, an individual generator would be any better off marginally changing the capacity it had under contract — compounds the doubts. All that is bad enough. But the fundamental defect in this model is that it assumes prices can fall over the longer term even if costs don’t. Subsidised competi­tion from renewables consequently leads to sustained reductions in charges, regardless of what happens to aggregate ­system costs. That assumption is completely contrary to the experience of the past decade. Moreover, it shifts the focus in a manner that is inconsistent with serious policy analysis. Yes, the welfare of politicians depends on what happens to consumer prices, as every populist knows; but the welfare of communities ultimately depends on what happens to costs. This report takes the error to rarely equalled extremes. Entire categories of costs — such as the increased retail, transmission and distribution costs arising from the NEG obligations — are essentially assumed away. And in a significant departure from earlier practice, it simply does not present data on overall system costs. Then again, why would it? In the world it paints, the best things in life — greater reliability, fewer emissions — are better than free: the more of them we have, the cheaper electricity will be. It is consequently unsurprising that Labor and the Greens would ask: “Why stop there?” If it only makes consumers better off, why not double the emissions reductions target? And it is also unsurprising that the government, confronted by those demands, is on the back foot. That we face a reliability crisis is undeniable. That the NEG may be the right response should not be ruled out, given the political constraints. But if the Coalition does not justify its own policies properly, how will it be placed when a Labor government does the same? We won’t have to wait forever to find out. In the meantime, enjoy having that cake and eating it too. As for me, I’ll have fudge, with added lashings of cream. It is, I’m told, good for your health. Let’s face it, the Turnbull government is in more trouble than Speed Gordon. It has to sort out Catholic school funding. There is pressure to reduce the migrant intake. A decision must be made whether to continue seeking further company tax cuts even if this outcome looks unachievable. One of the government’s biggest political problems is energy policy, with voter interest mainly about electricity prices. The government’s proposed solution requires agreement by the states and territories that are party to the ­National Electricity Market — all but Western Australia and the Northern Territory. They will be asked for in-­principle support for the national energy guarantee this week. At this stage, it’s looking unlikely there will be unanimous ­agreement. But here’s a tip: don’t believe the hype about the NEG. Designed by experts with particular agendas, it’s a dog’s breakfast that could be worse than doing nothing. 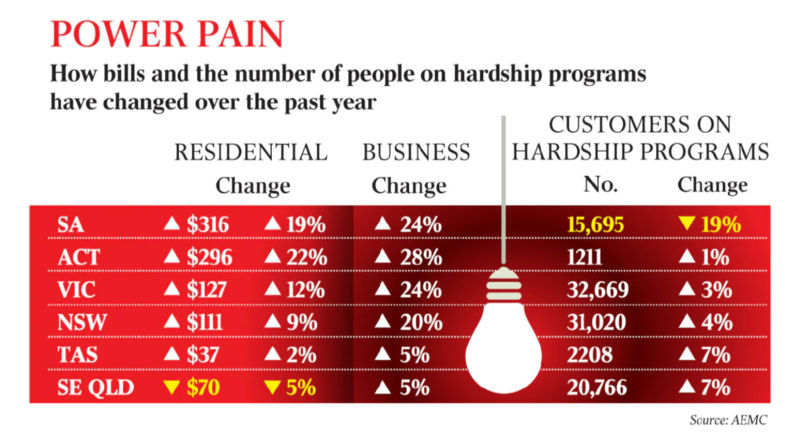 Anyone who believes in the modelling-based predictions of ­future price reductions — $550 cuts to households’ annual electricity bills — also believes in the tooth fairy. And is the resemblance between the chairwoman of the Energy Security Board, Kerry Schott, and a car salesperson uncanny? You know the sort of thing: this offer is available for a limited time only, you won’t do any better than this, you’ll regret it if you let this one pass. What about the NEG being technology-agnostic? Again, this is another myth and the ESB’s ­figures give the game away. By 2030, it is expected that 36 per cent of electricity generation will be from renewable energy, with coal down to 60 per cent. There will be no investment in coal-fired electricity under the ESB’s preferred model and only a small amount of new gas-fired generation, possibly. The real backstory to the kerfuffle around the NEG is the opposition of the voracious renewable energy rent-seekers who see the degree of the sector’s subsidisation trailing off. The combination of the renewable energy target (and the value of the underlying large-scale ­renewable certificates), other federal government subsidies (think Clean Energy Finance Corporation, the Australian Renewable Energy Agency) and the assistance from state and territory governments (reverse auctions, higher RETs, ease of planning approvals) has produced a virtual cornucopia of riches for the sector. The mission of the renewable energy players is to see the continuation of this largesse, mainly paid for by electricity consumers. This is the principal reason why the Labor Party is running with a much higher emissions reduction target — 45 per cent by 2030, rather than 26 per cent — because in this way the ongoing subsidies to renewable energy can continue. It also explains the renewable energy sector’s strident opposition to the use of carbon offsets, both local and international, within the NEG to enable retailers to acquit their emissions-reduction obligations. Notwithstanding the fact that the offsets mechanism is far cheaper than all the alternatives, the current position of the government is to limit the use of local ­offsets to a mere 5 per cent — a win for local renewable energy. Even worse would be the idea of making the government’s 26 per cent emissions target a floor that could be changed through regulation rather than legislation — one of the ambit claims being made by the renewable energy sector. This proposal should be dismissed out of hand. So let me return to the absurd modelling results. Most people realise that when something looks wrong, it almost always is wrong. The modellers are assuming that the annual wholesale bill will fall by 45 per cent, from $17 billion to just $9bn, as result of the NEG. Pull the other one. Even if the cost of renewable energy is falling, the electricity price is still set by the marginal supplier offering the highest price. Given the inherent unreliability of renewable energy, this will often be expensive gas-peaking plants. However, we know that the market is highly concentrated and that there are strong links between generation and retailing. In this case, the big players game the system to affect prices, not just accept the ones the market throws up. Indeed, we can see this from the modelling done for the Finkel review, which showed that the wholesale price is about $30 per megawatt hour above the one you would expect. Then there is the definition of reliability, which in theory is an improvement in the NEG over the previous arrangement. But the devil is in the detail. First, the list of appointees to yet another body that will govern and monitor this aspect of the NEG is full of self-interested parties — the antithesis of good governance. This body has decided to define reliability to suit the renewable energy sector. On the basis of dubious calculations, it has been established that the system will fail to offer sufficient electricity to meet demand for just over 10 hours a year. In that case, demand management (so beloved by the head of the Australian Energy Market Operator) will do the trick. Just don’t believe the figure, which has been arrived at to suit a particular sector. Given the number of times that emergency reserves have been called up in South Australia, it is simply not believable in the context of a much higher penetration of renewable energy. Now I understand that the NEG is essentially a political exercise and the modelling is really done for show. If you want a good chuckle, however, just check out the modelling done for the RET review — electricity prices were going to fall! There is an arguable case for doing nothing rather than implementing a complex technocratic solution that essentially plays into the hands of the renewable energy sector. Mind you, the renewable energy sector tells us that our Paris commitments in the energy sector will be met by the early 2020s; all the more reason to concentrate now on affordability and reliability. Maybe the government should spend its time usefully working with some live proposals to get more dispatchable electricity into the system, driven by large users who might otherwise quit the country. This, not the NEG, is the one hope to reduce electricity ­prices. Please find a link below to my video of the Codrington wind farm filmed in Aug 2018. It features footage of ageing wind turbines. Is this a vision of Victoria`s future landscape? Should this operator continue to receive renewable energy subsidies for such polluting machinery in this rural environment? Machinery that is supposed to produce ‘clean’ energy. And will these problems be magnified by larger turbines? Your Clean Energy Future? Codrington wind farm 2018. In defiance of intransigent foreign dominators , Tom Playford did it in South Australia …. and it worked . It is possible to do it again …. Nationally. Also , NOW …. (well , SOON) …. it is possible to have 100% renewables , but only for part of the time , therefore it is also necessary to have 100% rapid startup capacity to match it , similarly geographically distributed …. just in case …. and the resultant combo will yield the minimum toxic output possible . This arrangement may be expensive ….. but much less so than a war …. (and we have done THAT too AND the Tom Playford thing straight after ) ….. then the grid itself will be largely redundant , it can be a truly National achievement , and Paris will applaud . There are FAR too many well manicured Doctorates , Techno , Politico and Socio etc. involved in this discussion , and far too many used-car-sales-people attempting to steer it …. May the Gods deliver us from them all . It should all work in the end. When has the political class ever failed their slaves and in this case a bunch of hasbeen lawyers running one of the most vital utilities in our society. No matter what happens or who signs what Australian electricity supply is doomed. No private company has ever built a large coal fired power station anywhere in Australia ever. Only state governments were able to get the loans to build large infrastructure and this in the 1970’s was why all state governments legislated government take over’s of all the electrical generation and transmission throughout Australia. “Soviet-era rationing. . . .” Quite so. And installed permanently by an equally durable ban on questioning. Totalitarians rule. “Follow the money”, yes, but only in part. Power—not electrical—is the object. Will government in the next few years outlaw websites like this one or JoNova’s or Quadrant’s? Highly likely. What a difference a day makes in politics! At this time last week, I was thinking Turnbull’s team was secure in the coalition leadership and would lead it into the next election. I was thinking the coalition would lose the next election, but nevertheless, Turnbull and his minions would be in charge in the run-up to that election. That’s all changed today. The payout to the Great Barrier Reef Foundation on top of the impending failure of the NEG has me questioning Turnbull’s ability to repel a leadership challenge. It’ll be interesting to see if the Lib/Nat coalition grows some cajones and takes a public stand against the rorting and future demise of the electrical power system and tax monies. A crash in the Australian economy might be inevitable. Overhauling the RET will have consequences. I’m sure there is a lot of discussion going on as to how banks and super funds can get their money back out of the renewable industry before the inevitable crash and how to disassociate it from the rest of the economy. Good luck. I’m watching with some amusement. We know the problems but there is little talk of the solutions. In 2017 Australia exported a record 200 million tonnes of thermal coal valued at $20.8 billion for other countries to burn, yet we’re shutting down coal-fired power stations at home. How stupid are we? Industries move offshore, we destroy our economy, but global “emissions” are forecast to keep growing anyway. China, India, and much of the world continue to build coal-fired power stations. In the last decade Australia exported 78 thousand tonnes of super energy-dense uranium ore concentrates for other nations to use, yet we have a ban on its use here. How stupid are we? World nuclear power generation capacity continues to expand. Presently 57 nuclear reactors are under construction, 17 in China alone. A further 152 have approvals, funding or commitment in place; the World Nuclear Association reports they are mostly expected to be in operation in the 2020s. While Japan temporarily shut down its nuclear reactors following the Fukushima accident, as of July 2018 nine reactors are in operation with the highest of safety standards. Japan’s Fifth Energy Basic Plan, adopted by Cabinet on 3 July 2018, aims for nuclear energy to account for 20-22 per cent of energy output by 2030. Nine planned reactors with a total 12,947 megawatt electric capacity are about to commence construction. The jackpot question as always, is where is the money going to come from? The same place it used to come from when we had a nationally owned bank as the CBA was when based on a credit system (younger readers will have to look that up – start with the original American system devised by Alexander Hamilton. Then it can be understood how China has achieved its phenomenal poverty reduction). 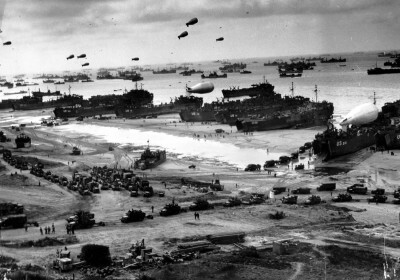 CBA paid for our involvement in WWII and built all of the now crumbling infrastructure. Then of course add commercial and investment bank separation (FDR’s Glass-Steagall Act that worked for 66 years and ended the 1929 GFC) so banks gamble with their own and not depositor’s money, if they loose it it’s their problem, and they don’t get to borrow backed by OUR government’s AAA rating. Easy-peasy; the rich would stop getting richer and the poor poorer, can even put an end to droughts and floods, but – How stupid are we? The same man who sold off the Commonwealth bank to free enterprise is the same genius who forced the states to sell off their electrical generation and transmission systems. He was at the time touted as the greatest treasurer in the world ROFL and Australia is yet to see what his disastrous policies and decisions will finally have on Australia in the end. He still appears on the giggle box occasionally to give his point of view as if the recession we had to have at his bequest wasn’t enough to prove his lack of intelligence and what a fool he is.